West county will be opening its first warming center which will provide a space for unsheltered residents to have a warm space at night. The center will Be located at GRIP – Greater Richmond Interfaith Program. While it isn’t a permanent solution to the great work that needs to be done to alleviate homelessness, it helps. If you know someone who needs help call 211. 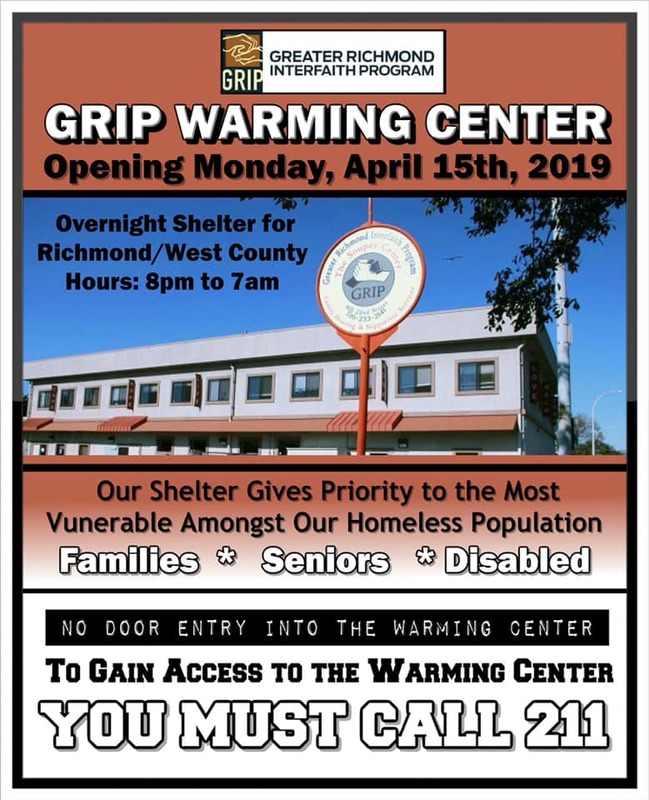 Richmond has also started the Richmond-San Pablo CORE homeless outreach team to provide on the ground services to the unsheltered, including helping people get access to the warming center.